This section of the website is dedicated to identifying the Name of God and in no way is intended to diminish the IMPORTANCE of JESUS or his name. Note: Since there is only one God (Deuteronomy 4:35, 4:39, 6:4; Isaiah 45:5-6, 18, 22; Ephesians 4:6) he is commonly referred to as God (With capital G) or “the Lord God” in the Bible. However, in the Old Testament, “Elohim” is the Hebrew word most ordinarily translated as “God” (Gen 1:1). Its form is plural, but the construction is uniformly singular, i.e. it governs a singular verb or adjective, unless it is used of heathen divinities (Ps 96:5; 97:7). It is characteristic of the Hebrew language that extension, magnitude and dignity, as well as actual multiplicity, are expressed by the plural. Historic Hebrew is unquestionably and uniformly monotheistic (One God), it is unthinkable to even assume that this plurality of form indicates polytheism. Psa 83:18 That men may know that thou, whose name alone is JEHOVAH (H3068), art the most high over all the earth. Psa 100:3 Know ye that the LORD (H3068) he is God: it is he that hath made us, and not we ourselves; we are his people, and the sheep of his pasture. The LORD (H3068) is a warrior; the LORD (H3068) is his name (Exodus 15:3). I am the LORD (H3068); that is my name! I will not give my glory to another or my praise to idols (Isaiah 42:8). Therefore I will teach them – this time I will teach them my power and might. Then they will know that my name is the LORD (H3068) (Jeremiah 16:21). This is what the LORD (H3068) says, he who made the earth, the LORD (H3068) who formed it and established it -the LORD (H3068) is his name (Jeremiah 33:2). He who made the Pleiades and Orion, who turns blackness into dawn and darkens day into night, who calls for the waters of the sea and pours them out over the face of the land the LORD (H3068) is his name (Amos 5:8). The One who builds his upper chambers in the heavens and has founded his vaulted dome over the earth, he who calls for the waters of the sea and pours them out on the face of the earth, the LORD (H3068) is his name (Amos 9:6). If GOD SAID It, We Can Prove It. Any scripture (OT or NT) containing the words “GOD SAID” (or similar phrasing) is one fact everyone can agree on, God said it! This aspect alone eliminates argument. The italicized words (such as “the name of” Exodus 6:3) in the King James Bible are words that were added by the translators to help the reader. This is usually necessary when translating from one language to another because word meanings and idioms change. So, to produce a more readable translation, the King James translators (1604 -1611) added certain words to the Bible text. However, to make sure that everyone understood that these words were not in the available manuscripts they set them in italics. Exo 6:3 (HCSB) I appeared to Abraham, Isaac, and Jacob as God Almighty, but I did not reveal My name Yahweh to them. Exo 6:3 (NKJV) I appeared to Abraham, to Isaac, and to Jacob, as God Almighty, but by My name LORD[a] I was not known to them. When we have evidence that has been provided directly by God (God said it or spoke it); what we teach should be reflective of the words spoken by God. Your interpretation of any other passage must always be interpreted in such a way that it aligns itself (or harmonizes) with the words of God. Isolate those verses which clearly state “GOD SAID” (or similar phrasing) then make sure you understand the meaning behind two important phrases (“in the name of”) and (“I come in my fathers name“) then apply those undisputed FACTS with any other passage and the name of God whom Jesus served remains the same. YHWH = (H3068) = (Yahweh / Jehovah ) or “LORD” usually denoted by all capital letters. Where the word “LORD” is entirely capitalized in (KJV): It was done to show places where God’s name (Jehovah = H3068) is mentioned. In Hebrew the name of God is represented by the Tetragrammaton (“four letters”) יהוה (Yod Heh Vav Heh), transliterated into Roman script Y H W H; yehôvâh, yeh-ho-vaw’; H3068 From H1961; (the) self-Existent or eternal; Jehovah, Jewish national name of God: – KJV: Jehovah, Compare H3050, H3069. 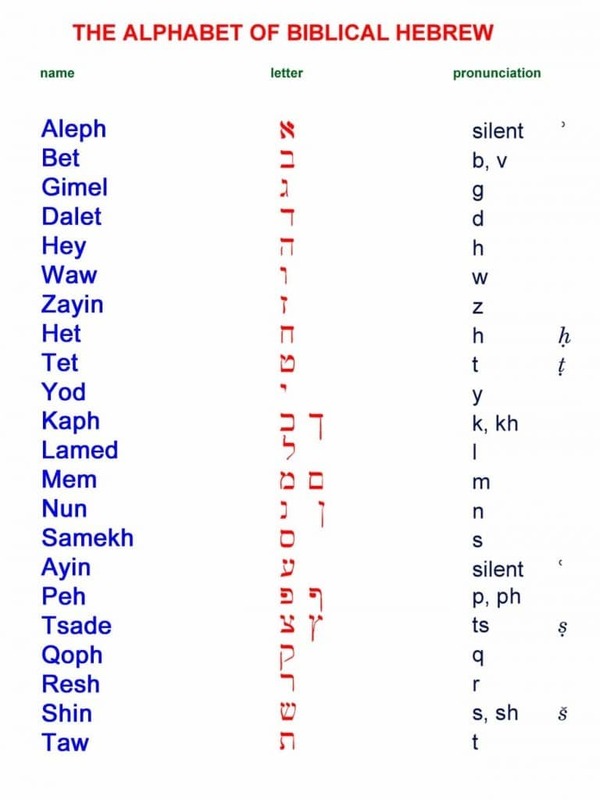 Since ancient Hebrew had no written vowels, it is uncertain how the name was pronounced originally, but there are records of the name in Greek, which did have written vowels. It is from these records that some believe the name should be pronounced “Yahweh” <1>One of the oldest Scriptural texts ever found contained the name Yahweh. A silver amulet dating back about 2,600 years (600 years before the birth of the Messiah) contains a seventh-century extract from the Book of Numbers (6:24-26). It was part of a treasure found by a Tel Aviv University archaeologist in a First Temple Period family tomb in Jerusalem. When this amulet was written the Temple of Solomon still stood, the heirs of King David ruled and the Dead Sea Scrolls would not be written for another 400 years. After three years of technological care, the amulet was unrolled at the Israel Museum. The name of Yahweh was clearly read. The Jerusalem Post issues 6-26-86 and 8-9-86 and the 6-87 issue of The Readers Digest). There is any number of reference books also that show evidence that Yahweh is, indeed, the name of the Creator. The New Unger’s Bible Dictionary, Revision of Unger’s Bible dictionary. 3rd ed. c1966. (Rev. and updated ed.). Chicago: Moody Press., states, “YAHWEH (yaʹway). The Heb. Tetragrammaton (YHWH) traditionally pronounced Jehovah (see discussion in the articles Lord; [The] LORD) is now known to be correctly vocalized yahwê. New inscriptional evidence from the second and first millennia B.C. point toward this fact. The old view of Le Clerc, later propounded by Paul Haupt and developed by W. F. Albright, has commended itself in the light of the phonetic development and grammatical evidence of increased knowledge of Northwest Semitic and kindred tongues. This thesis holds Yahweh to be originally a finite causative verb from the Northwest Semitic root hwy, “to be, to come into being,” so that the divine name would mean “He causes to be, or exist,” i.e., “He creates.” <2>Biblical Archaeology Review. Jan.-Feb. 1990, page 49- “BAR recently published a beautiful carved ivory pomegranate with an important inscription on it. As partially reconstructed, the engraved inscription around the neck of the pomegranate reads as follows: “Belonging to the House of Yahweh Holy to the Priests.” Based on this reading, many scholars have concluded that the ivory pomegranate originally came from the Jerusalem Temple constructed by King Solomon.”. Shortly before the first century A.D., it became common for Jews to avoid saying the divine name for fear of misusing it and breaking the second commandment (“You shall not take the name of the Lord, your God, in vain,” Deuteronomy 5:11). This resulted in the original pronunciation being lost. The name may have originally been derived from the old Semitic root הוה (hawah) meaning “to be” or “to become”. Whenever they read Scripture aloud and encountered the divine name, they substituted another Hebrew word, “Adonai” <3>Adonai (Heb. Adhon or Adhonay) means “lord” or “master” and is usually translated “Lord” in English Bibles. Adonai should be understood to mean “Lord of all” (Deut. 10:17), it is not God’s name. The word “Adonai” is used in Judaism as a spoken substitute for the ineffable (incapable of being expressed; indescribable or unutterable) name of God. (which means “Lord” or “my Lord”), in its place. 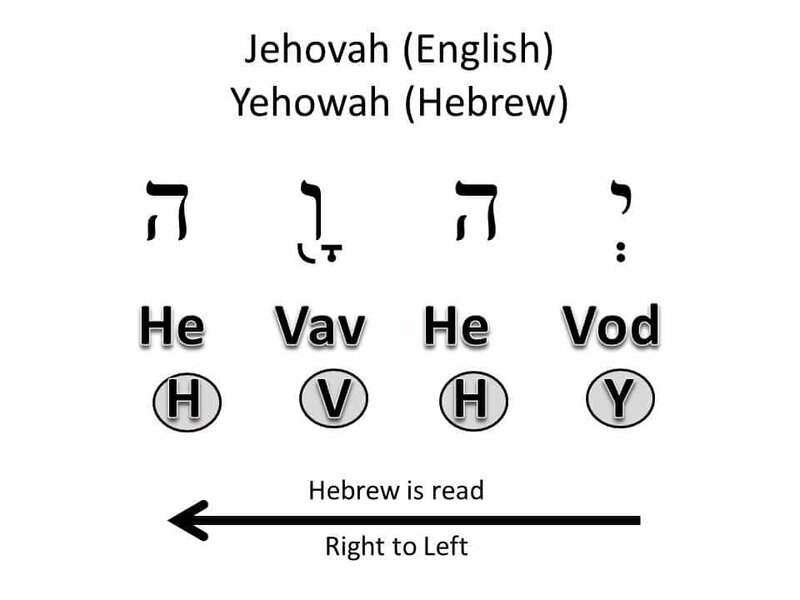 Eventually Hebrew developed written vowels, which appeared as small marks called vowel points and were placed above and below the consonants of a word. The Masoretes, who from about the 6th to the 10th century worked to reproduce the original text of the Hebrew Bible. But this does not necessarily mean that was how God’s Name was originally pronounced. Any number of vowel combinations are possible, and the Jews are as uncertain of the real pronunciation as are Christians. > “LORD” represents the translation, but it is not an actual translation, since “Yahweh” does not mean lord or master. > The name Jehovah is also misleading because it does not translate to YHWH. When looking at the name Jehovah the four consonants Y-H-­W-­H are not present. The true Hebrew name Yahweh is YHWH. When looking at the name of Yahweh, all the consonants Y­-H-­W-­H are present. > The word lord is not a name, it is a title which gives ownership. Men are known as lords (rulers). We know that Yahweh is the Ruler of us all. Capitalizing the word “lord” (LORD) is misleading because it does not give any more meaning to the title than ruler or owner. > The word god, is also a title, which the bible associates as “mighty”, a mighty being with supernatural powers. By capitalizing god (GOD), is misleading because it does not give any more meaning to the title than mighty; there are many beings with supernatural powers (including demons and the devil). 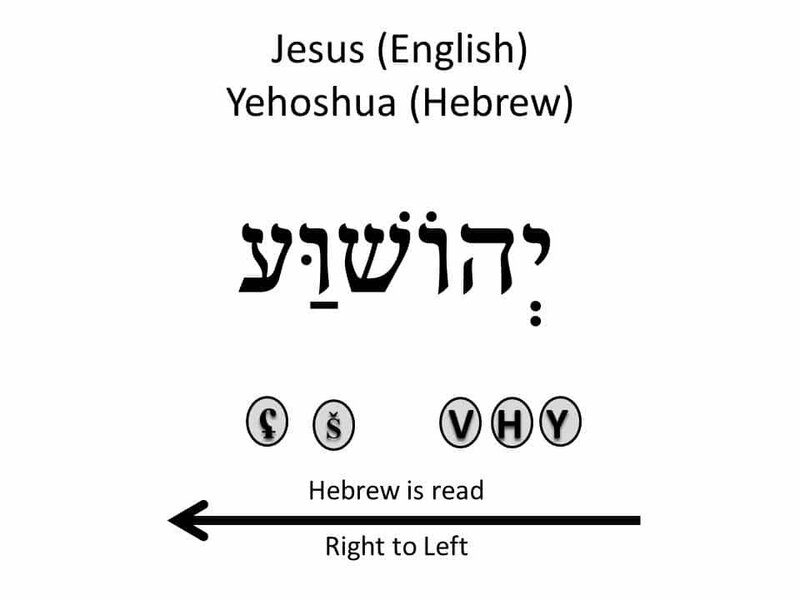 The word “LORD” which appears in all capital letters (KJV and others) is one of the instances where the Hebrew text was deliberately changed from YHWH (Yahweh), transliterated “Jehovah” in English. The name “Yahweh” can only be used for God!) The change was marked by those who did it and was said to be done out of reverence for the name of God, not out of a desire to deceive. Nevertheless, it does obscure the meaning of some of the verses. In short, YHWH (or Yahweh) is how God’s name should be treated throughout scripture. Did God Change His Name? There is only one name that is UNIQUE to the God of the Bible (YHWH), regardless the pronunciation of the name Yahweh or Jehovah (LORD (H3068)), it is the name that God uses of Himself. (Exodus 3:15) And God said moreover unto Moses, Thus shalt thou say unto the children of Israel, The LORD (H3068) God of your fathers, the God of Abraham, the God of Isaac, and the God of Jacob, hath sent me unto you: this is my name for ever, and this is my memorial unto all generations. Iēsous, ee-ay-sooce’; Of Hebrew origin [H3091]; Jesus (that is, Jehoshua), the name of our Lord and two (three) other Israelites: – Jesus. [H3091] From H3068 and H3467; Jehovah-saved; Jehoshua (that is, Joshua), the Jewish leader: – Jehoshua, Jehoshuah, Joshua. Compare H1954, H3442. It is often argued that the name “Jesus” means “Jehovah has become our savior”. There is a reason for that. However, Jesus is not the only man in the Bible with this name. The name Jesus was fairly common. The Jewish historian Josephus (1st Century AD) mentions at least 12 other persons, outside of the bible record, also called Jesus, such as the high priest Jesus son of Damneus, or Jesus son of Gamaliel. In the bible (KJV), the Greek word for Jesus appears in (Acts 7:44-45 and Hebrews 4:7-10). This is referring to Joshua, the leader of Israel following Moses’ death. The names Joshua and Jesus are English translations of a Hebrew name. Why then is it translated ‘Jesus’? The answer lies in the Greek/Latin corruption of the Messiah’s original Hebrew name. Originally, the name of the Messiah was , pronounced Yahushua. This is the Messiah’s original name. When the Gentiles tried to transliterate His name into Greek, they came up with ihsoun or “Iesous”. But originally, this word was from H3091 in the Hebrew. When Iesous was transliterated into Latin, it became “Iesus”, which was then carried over into English it became our modern day “Jesus” when the letter “J” developed. Note:(This potential confusion is corrected in most of the newer updated Bible versions, including the King James Version). In (Colossians 4:11) a Christian called Justus was also called Jesus. We certainly would not declare these other Israelites identified above (who were also named Jesus) as being God. Their name is of the same Hebrew origin as Jesus “the Christ” (‘Jesus the Messiah’). Based on that argument, their name also means Jehovah saved. Clearly, the statement remains true but their name does not make any of them God. It is therefore vitally important that we are able to distinguish and associate the correct name and titles to the correct person. The biblical stated name of God (Jehovah /YHWH1; yehôvâh, yeh-ho-vaw) and his title of who he is (the Father) is clearly different from the biblical stated name of the man (Jesus) and the titles of who he was and is (the Christ, Son of man/Son of God). Those who profess to preach and teach from the Bible have the needed yet IMPOSSIBLE task of producing at least one passage where God ever said or told anyone his name was JESUS. If the Holy Bible is the book we rely on for what we know of God, if you yourself did not personally see one passage where God ever said his name was JESUS, it is often wiser to keep silent when you can be proven WRONG. Only men (PLURAL) have ever been given the name Jesus and even Jesus has a God; (2 John 1:3; 2 Corinthians 11:31; Ephesians 1:3; Ephesians 3:14) and Jesus always remains subject unto God (John 5:30, 8:29, 14:28; 1 Corinthians 15:28 (NLT)). Since there is only one God and since we have scripture that explicitly tells us Jehovah is God’s name that is all the evidence we need. 3. ⇑ Adonai (Heb. Adhon or Adhonay) means “lord” or “master” and is usually translated “Lord” in English Bibles. Adonai should be understood to mean “Lord of all” (Deut. 10:17), it is not God’s name. The word “Adonai” is used in Judaism as a spoken substitute for the ineffable (incapable of being expressed; indescribable or unutterable) name of God.